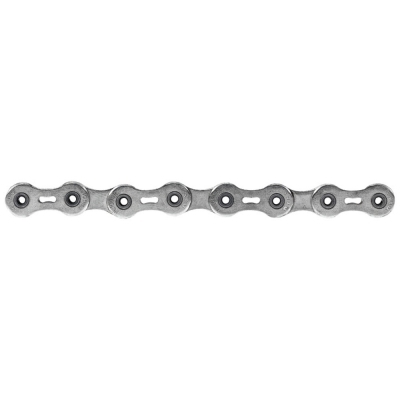 The newest 1091R chain features more heavily chamfered outer plates for improved shifting and quieter running. Other advancements include a new inner plate finish plus chrome hardened pin construction, both for longer chain life. 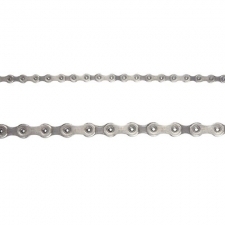 The HollowPin construction of SRAM's 10 speed PowerChain provides smooth, precise shifting and weight savings without sacrificing strength. 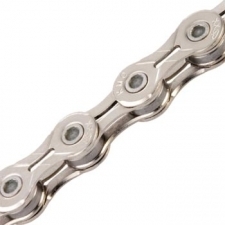 Buy your SRAM PC1091R Hollow Pin 10 Speed Chain, Silver, 114L with PowerLock from Revel Outdoors.